Home > Ask Our Experts > Breach of Court Order: What Steps to Take Next? I have a court order in order to see my daughter. In court the times were agreed as to when I get to see my daughter. Her mother keeps changing the times when I can pick her up so is constantly in breach of the court order. I am not happy with this and there is no reasoning with the mother. How do I take it back to court? A contact order is a court order which sets out the circumstances in which someone who does not live with a child may see that child. Contact Orders often relate to a parent’s contact with their child but they may also be made in relation to contact with the child’s grandparents, brothers and sisters or other relatives. The odd deviation from the terms of a contact order may be forgiven. However, it can be very frustrating for a parent without custody if the parent with custody seems to be deliberately preventing contact. Talking to the other person should always be the first step. If - as in your case - this gets nowhere, a letter from a solicitor reminding the other person of their obligations may work. If they still refuse to comply, an application may be made to court. All contact orders made since 8th December 2008 contain a warning notice setting out the consequences of failure to comply. A contact order varied by a court after this date should also have a warning notice attached. Before applying to enforce a contact order made prior to that date an application must first be made to have a warning notice attached to it. An application to have a warning notice attached to a contact order is made using form C78 which is available to download from the HMCS (Her Majesty’s Court Service) website. If a court is satisfied beyond reasonable doubt that there has been a breach of a contact order, and that there is no reasonable excuse for the breach, they may make an enforcement order. An enforcement order requires the party in breach to carry out between 40 and 200 hours of unpaid work, which will be monitored by the probation service. If breach of the contact order has led to financial loss – for example a cancelled holiday - an application may also be made to the court for financial compensation. An application for an enforcement order, or for financial compensation, is made using form C79, which may also be downloaded from the HMCS website. The application may be made to the court which made the contact order or to any court which has the power to deal with family cases. The court also has the power to find that an individual is in contempt of court for failing to comply with a contact order. If a party persistently breaches a contact order they may be held to be in contempt of court and could be committed to prison or fined. It would be advisable to seek legal advice about your situation before making an application. The Citizens Advice Bureau should be able to provide free legal advice about the steps to take following breach of a contact order. 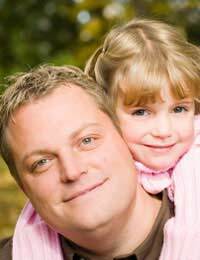 For more information about family courts and what to expect take a look at our article What Happens at Family Court. Hi, My ex and I recently appeared in family court where I was granted an interim court order to see my child, however I have turned up on the last 4 occasions and she is not handing children over. She then tells a version of events that happened and my version, which differ greatly. What happens and how can it be proven who is telling the truth? Does anybody actually comment back with actual legal advice? I recently applied for a CAO and have been to my first hearing. The court adviced him to stop ignoring my messages and reply as soon as possible to my messages. My ex still is ignoring me to have regular contact and will only let me have contact when he has his day off. What do I do now? Can I contact the court and let them know? I’ve just been in court today after I put an application to vary a contact order and also my x partners application to enforce the contact order. However even though I suspended normal contact because of safeguarding concerns the judge was more concerned with his application and my breach of contact order. I’ve been told also that I need to get a letter from social services to prove that they advised to suspend contact. It’s a complete joke they were not interested in previous domestic abuse or safeguarding concerns for the children just his rights nobody seems to be interested in listening to the children I just give up! Hello . I have a child arrangements order in place stating that my son resides with me and has visitation with his dad every other weekend and wednesdays etc... however for the last two weeks he has refused to return him and will only allow me to see him supervised visits with his family. He claims to have taken him because with me his life is in danger . I have 3 other children who all live with me and social services and other authorities do not have any concerns . My sons dad is using the excuse that i am in a violent relationship even though i am not . The police say they cannot get involved and social services say they cannot either . I cannot afford court fees . What do i do ? I have a court order set in place.I went through legal aid and managed to get a solicitor to help me.My ex partner has always been abusive towards me in every aspect just not physical more emotional mentally,verbally.I was very suicidal. My question is anyway I have a court order that he sees his child twice a week via FaceTime.I don’t want to do this as he is being very abusive to me whilst my daughter is present and calling me infront of her.How can I get it changed without going court ??? Hi. I'm a step dad, and my stepson has contact with his father through a contact order everyother weekend, Wednesday evenings and shared holidays. The father is a known cannabis user and was told by the courts not to use cannabis 24hrs before contact and for the duration of contact, yet my stepson has said a number of times he believes his father is using 'Wacky Baccy' as he calls it, everytime he is there, which makes me believe he is drug driving with my stepson too as he does drop offs. Along side this my stepson tells me his father tells him to be naughty when he comes home to me and his mother, otherwise he will be told off. Can you please give me advice on what to do? At this far in the process therefore I am asking on here. Sorry for the long 3 page message and thankyou for your time and help. Unfortunately, this is rather a long message and one that cannot be answered as in-depth as you require. We cannot anticipate what the court may decide. Likewise, it is unlikely your partner would be allowed custody of the child if he is not in his child's life very much. A court will only hand the child over to the other parent in extreme cases. The court will also only go so far with breaches of contact orders with regards to punishing the child's mother (prison is only ever seen as a very last resort - as it is not seen as being in the child's best interests). The Separated Dads forum may be able to answer your questions. However, it is always best to keep questions short and concise. Hi,my daughter has a contact agreement to see her son, wed overnight, Thursday after school and Saturday from 12pm overnight until 12pm sunday. This was put in place after father broke previous court order and refused contact for 3months. He does not inform my daughter of medical or education appointments until the last minute. He has stopped the weekly wed overnight to fortnightly. My daughter and her boyfriend had a row and my grandson got upset. We agreed for my grandson not to see the boyfriend for a little while as situation seemed stressful. However the father has put a full ban now which prevents my grandson staying overnight at all. He has also refused the wed after school and has dropped to just thursday after school for 3 hours. He is now not dropping my grandson off until after 1pm.He has said that this will continue until he decides which is never. What can we do? If your daughter and her son have a court order in place, then her ex is in breach of the order. Any changes to a contact order must be agreed by both parties. One party cannot unilaterally decide to change the order or apply additional terms. If they wish to do so, they will need to refer the matter back to the courts. Before your daughter applies to court, a solicitor's letter reminding her ex of the terms of the order may help. Hi, my daughter has a contact agreement to see her son, wed overnight, Thursday after school and Saturday from 12pm overnight until 12pm sunday. This was put in place after father broke previous court order and refused contact for 3months. He does not inform my daughter of medical or education appointments until the last minute. He has stopped the weekly wed overnight to fortnightly. My daughter and her boyfriend had a row and my grandson got upset. We agreed for my grandson not to see the boyfriend for a little while as situation seemed stressful. However the father has put a full ban now which prevents my grandson staying overnight at all. He has also refused the wed after school and has dropped to just thursday after school for 3 hours. He is now not dropping my grandson off until after 1pm . He has said that this will continue until he decides which is never. What can we do? Theoretically, any changes to a contact order must be agreed by both parties. One party cannot unilaterally decide to change the order or apply additional terms. If they wish to do so, they will need to refer the matter back to the courts. However, your ex can withdraw from the child arrangement order if she thinks it is in the best interests of your children and of course, much depends upon the reasons why access has been withdrawn. Your ex will have to face the court when you apply for a child enforcement order and attempt to justify her reasons for breaching the order. Contact orders made after 8th December 2008 automatically include a warning notice. The warning notice sets out clearly the potential penalties and enforcement measures that are available to the court if the contact order is broken. A solicitor's letter (reminding your ex of the terms of the order and the reprecussions of not keeping to it) may work before you apply to court. If it doesn't work to get access back on track, then as in all cases the court’s main concern is the welfare of the children in question. The court will always put the children’s best interests first and this main issue will determine the outcome of any application for an order, or an enforcement of an order. My Ex applied for contact of our daughter he had been inconsistent with contact since leaving. He had a period of one year without contact of our daughter. She said she didn't want contact with her dad and a court made a court order saying she had to spend time with her dad and this has been happening. he is pushing for things all the time. Our daughter has suffered night terrors, mood swings and attachment issues. All these where brought up in court and dismissed saying she is only 8yrs old and has no views. He has broken the order on several occasions. It is causing lots of stress to my daughter. What are my options?? I don't know what to do my daughter is looking at me sorting things and I need help. If there is a court order in place, then you are obliged by law to keep to it. Any changes to the court order need to be authorised by the courts. Therefore, you would have to refer it back to court for consideration. In the first instance, a solicitor's letter outlining the terms of the order may help. However, as a rule if the court has awarded you residence, then the police should be able to intervene to return your child to you. If your ex continues to ignore the order, then as outlined in the article you would have to refer the matter back to court, you can see more via the link here. As outlined in the article, your partner would have to refer the matter to court, if he cannot resolve it with his ex. Firstly, a solicitor's letter outlining the terms of the court order and the repercussions if his ex doesn't stick to it, might be an option. Secondly, suggesting mediation in order to resolve any issues, may also be something to consider. However, if your partner's ex refuses to discuss the matter, then referring the matter back to court for an enforcement is the only option. I gained a court order outlining access to my daughter and it was set that I would have her for a minimum of two nights consecutively to run along side my shift pattern where I was not in work or on call. As soon as we left court I was informed by me ex that she would not be sticking to the court order and if I wanted to see my daughter it would be on her terms. (one night in the week and alternate weekends). This I could not do due to my shift pattern and now my access to my daughter has dropped dramatically. I do not know what to do for the best, I have emailed the court for some advice but have had nothing back. Any suggestions?? You may wish to ask a solicitor to send a letter to your ex, warning her about the repercussions of not sticking to the terms of the court order and specifying that by doing so she is in contempt of court. This may help to get access back on track. If not referring the matter back to court to have the order enforced is your only option. Deliberately not sticking to a court order is punishable by the courts. One parent cannot unilaterally change the terms of an order set by the courts. Unfortunately, we cannot advise here as you are in breach of the court order and therefore your ex can take the matter back to court to have the order enforced. Any changes to a contact order must be agreed by both parties. One party cannot unilaterally decide to change the order or apply additional terms. If they wish to do so, they face being taken back to court. Your only recourse is to keep the evidence that your child does not wish to go and present this to the courts. Alternatively, you may wish to suggest mediation to your ex in order to try to resolve these issues between you and get visitation back on track.